We pair food with wine, so why not rows? Crisp, clean, a light finish – well that could describe the rowing just as easily as the wine. Pairing is especially appropriate for our three rowing trips in the Western Cape Province of South Africa. Whether you are enjoying the Cape Wildflowers, Western Cape or South Africa Rowing Safari, there is a wine to match almost every row. 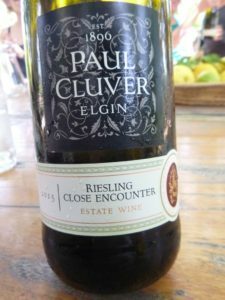 An obvious pairing is with Elgin, a relatively small wine region a bit to the south and east of the famous vineyards in Paarl, Stellenbosch and Franschhoek. 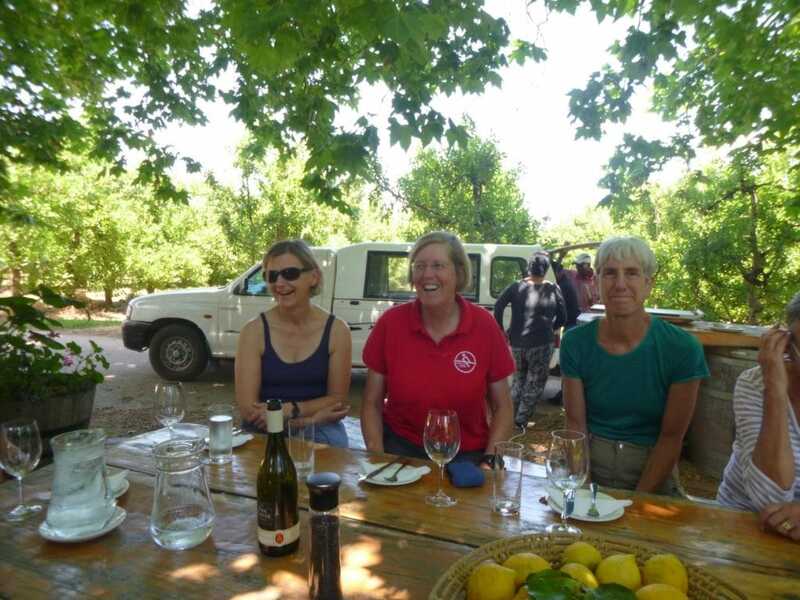 After a morning spin on Eikenhof reservoir, it is a short drive to Paul Cluver winery, where we enjoy a wine tasting lunch under the plantain tree. You can feel good from the excellent wine and food, but also by knowing that “this estate forms part of the UNESCO world heritage site, the Kogelberg Biosphere. Half of the estate has been set aside for conservation into perpetuity.” Better yet, the Cluver family are rowers. 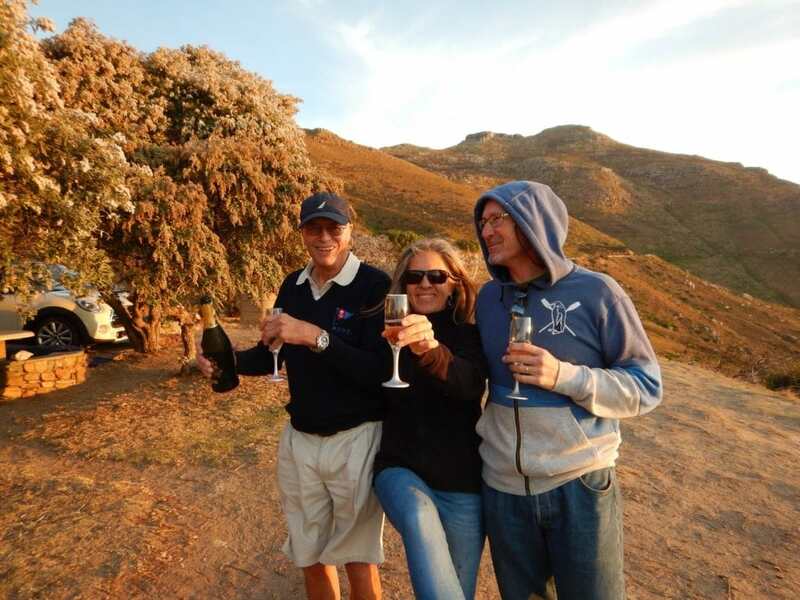 On our last day in the Western Cape (mid-point on the Rowing Safari) we row the upper Breede River at Robertson and spend the night at Excelsior Wine Estate. 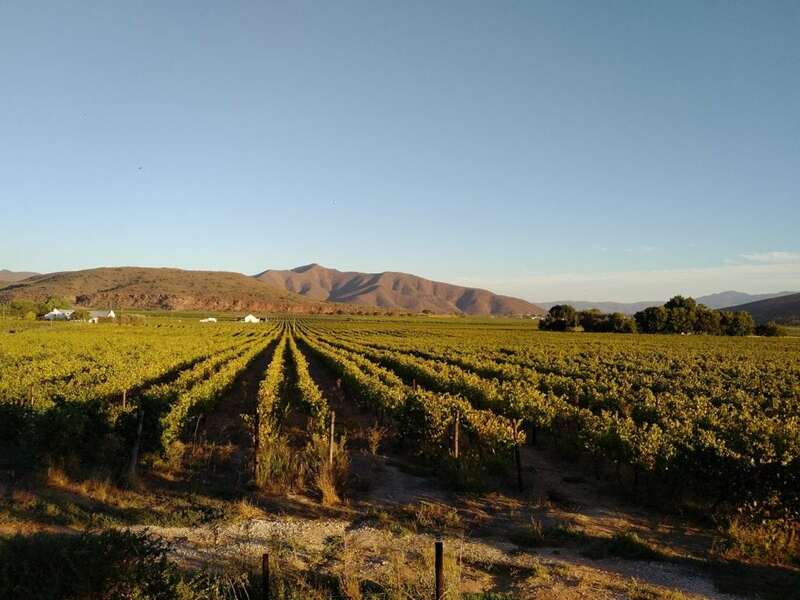 The Robertson area is famed for horse breeding as well as its wines – calcium in the soil strengthens equine bones and gives a special finesse to Chardonnay and Sauvignon wines. The Estate also grows lavender, producing beautiful soap and body lotion. On all of our rowing trips in the Western Cape we row on False Bay, to the south of Cape Town. Driving to and from Simon’s Town we pass the Constantia Valley, the oldest wine producing area in the southern hemisphere. Vineyards were established in 1685. We could pick up some bubbly to enjoy at Cape Point or select wines for our evening dinners at Black Sheep, Aubergine or Societa Bistro, some of the best restaurants in Cape Town. Our Cape Wildflowers trip takes us into a different wine terroir. 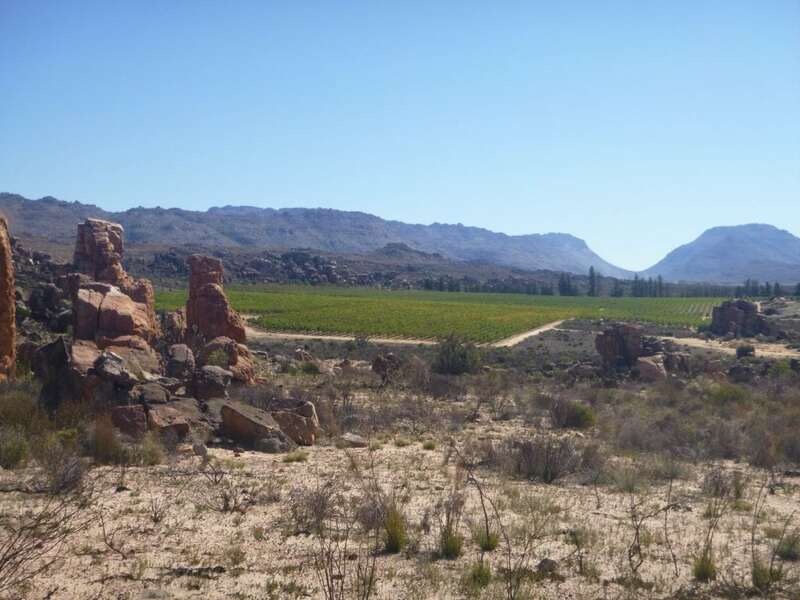 If you join us for the pre-rowing Cederberg Hiking option, we visit the renowned Cederberg winery, the highest altitude vines in South Africa. The isolation from other wine areas and harsh winters means that the vines are virus and disease free, with sustainable farming producing reds and whites “with a lot of concentration”. 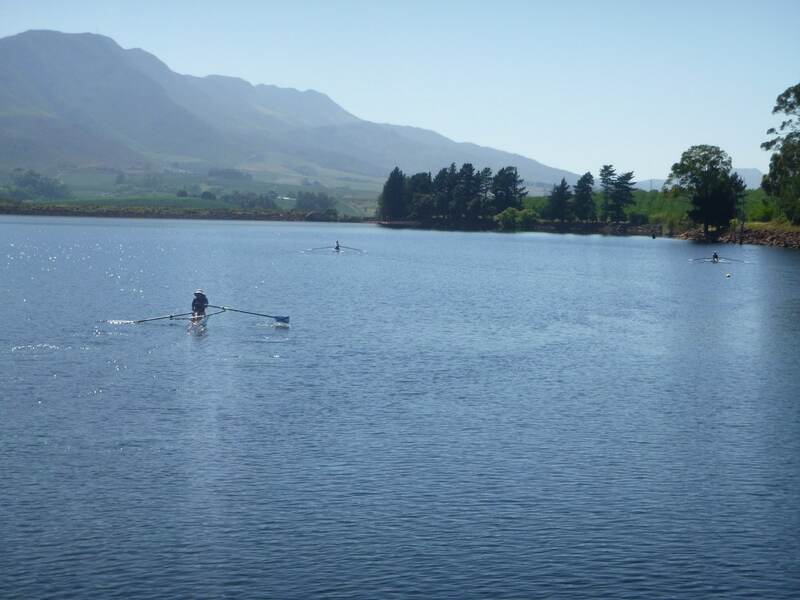 For the rowing portions in Langabaan and Berg River, we could sample from nearby wineries in Durbanville, Swartland and Darling. Reds, such as Pinotage, are especially good. And if wine is not your cup of tea, then perhaps rooibos is? 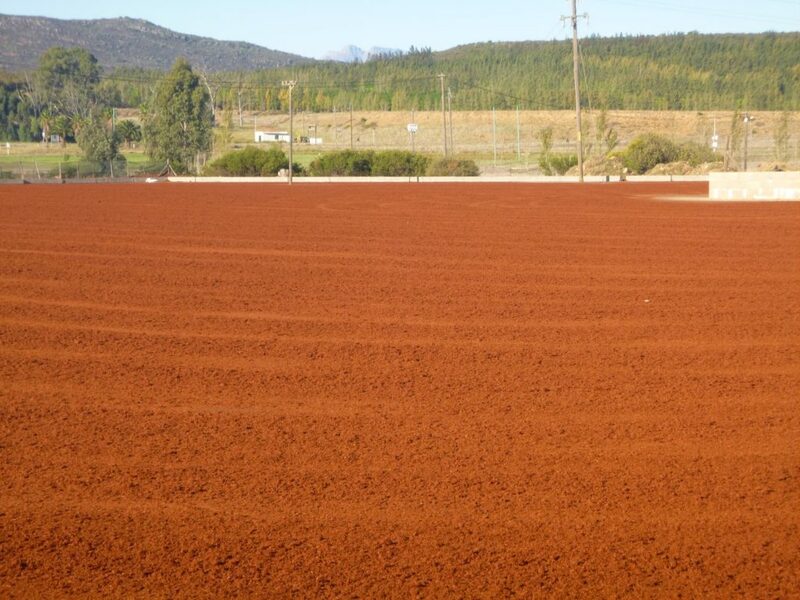 The Western Cape is the only place in the world where rooibos is grown. We will visit a farm on the Cape Wildflowers hiking trip and do some tastings. Pairings possible too.